Solieria robusta (Greville) Kylin Carnac Island, near Perth, Western Australia. 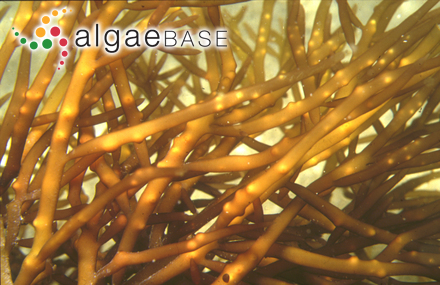 A common alga under moderate to fairly turbulent water movement, extending from sheltered areas with strong current flow to shallow to deep water on rough-water coasts (Womersley 1994: 343). Min-Thein, U. & Womersley, H.B.S. (1976). Studies on southern Australian taxa of Solieriaceae, Rhabdoniaceae and Rhodophyllidaceae (Rhodophyta). Australian Journal of Botany 24: 1-166, 69 figs. Accesses: This record has been accessed by users 2927 times since it was created. Chiovitti, A., Bacic, A., Kraft, G.T., Craik, D.J. & Liao, M.-L. (1999). 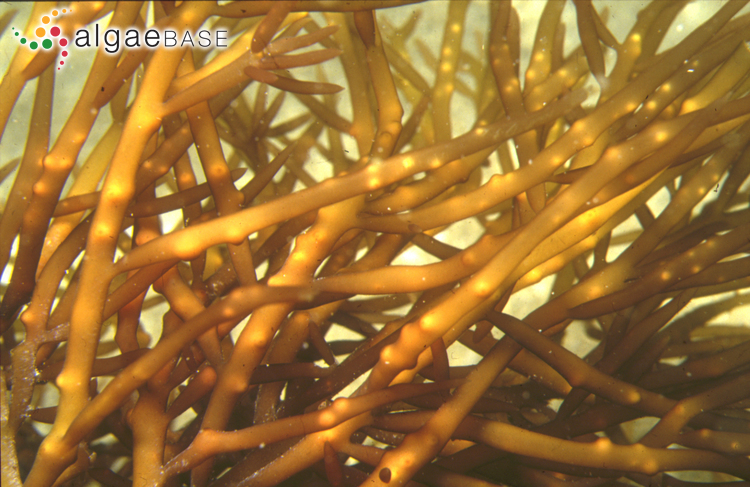 Pyruvated carrageenans from Solieria robusta and its adelphoparasite Tikvahiella candida. Proceedings of the International Seaweed Symposium 16: 401-409. Hayee-Memon, A. & Shameel, M. (2006). Phycochemistry of Solieria robusta (Ceramiophyceae Shameel) from Karachi coast . International Journal of Phycology and Phycochemistry 2: 71-76.